Above image taken from Google maps, June 2009. Above photo showing the Inn sign in 2013. 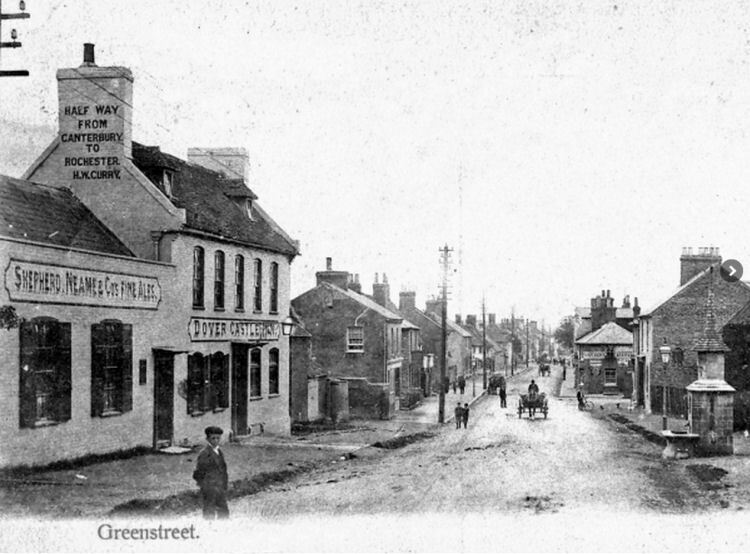 Above photo showing the pub in 1904. Date of card above unknown. Built about 1640, the building was once owned by the Lord of the manor and was sold to Shepherd Neame in the 1700's. Research tells me the pub was up for sale in 1758. From the Kentish Post, March 29 - April 1, 1758. Kindly sent from Alec Hasenson. A Good House and School, the late Master, Mr. Robert Evison, being dead, situate in Greenstreet, and no School within three Miles. A sober, married Man, that has Qualifications fit for a school, will meet with good Encouragement. Enquire at the “Dover Castle” in Greenstreet. Kentish Gazette, or Canterbury Journal [one title]. February 22 to 25, 1769. Kindly sent from Alec Hasenson. Advert for a monthly meeting of Justices of the Peace on April 6, at the Dover-Castle in Green-street, Dover. From the Kentish Gazette or Canterbury Chronicle, Wednesday, 16 October, to Saturday, 22 October, 1768. Price 2d. Notice is hereby given to all the Members belonging to the said Society, that they are desired to meet at the House or Richard Pattenden, known by the “Sign of the Dover Castle,” in Greenstreet, on Monday November the 7th, 1768, by the Hour of Ten on the said Day, in order to go to the Parish Church of Linstead to hear Divine Service, and a Sermon on the Occasion, by the Rev. Mr. Fox, Vicar of the said Parish, then to adjourn to the aforesaid House to Dinner, and transact the Business of the Society with the Master and Trustees. By Order of the Master and Trustees. Henry Baker, Clerk to the Society. N.B. Any Gentleman that likes to favour the Society with their Company to Dinner, will be agreeable. Dinner to be ready at two o'Clock. From the Kentish Gazette or Canterbury Chronicle, Saturday, 22 October, to Wednesday 26 October, 1768. Price 2d. The next Monthly Meeting of his Majesty's Justices of the Peace, acting in and for the said Division, is adjourned to Thursday the 1st of December next, then to be holden at the “Dover Castle” at Greenstreet, in the Parish of Dinstead, and County of Kent. From the Maidstone Gazette and West Kent Courier, 5, October 1830. 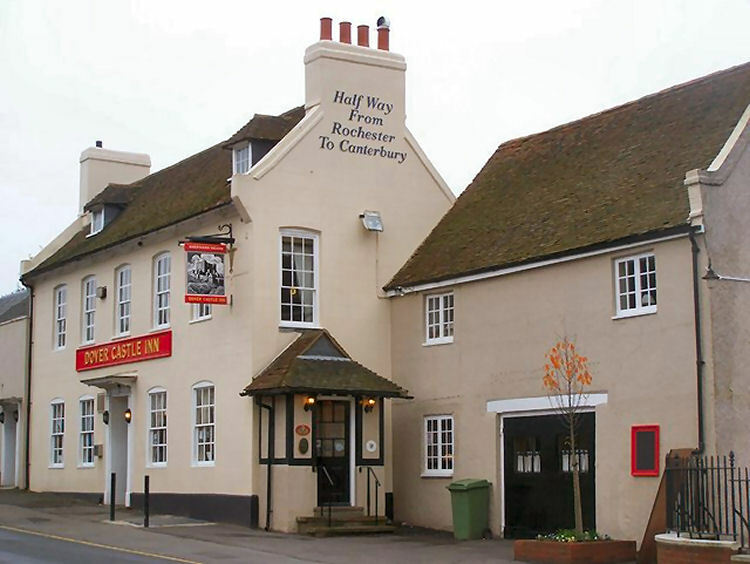 Dover Castle Inn, Green Street and Half-Way House between Maidstone and Canterbury. Henry Brett takes this opportunity to inform his friends and the public, that in consequence of the discontinuous of the Posting Business at Ospringe, he has made arrangements for a Posting Establishment at the above house; and from its central situation avoiding long and tedious stages, he trusts he shall be entitled to a share of their patronage. Good horses and careful drivers may at all times be depended on, with constant opportunities for the metropolis and coast of Kent by Royal Mails and other well-regulated coaches. The Tavern department will be conducted with economy and comfort - Good beds and choice wines may be relied on. Private Stall stabling and Lock up Coach-houses. Dover Castle, Green Street. September 22nd, 1830. Kentish Gazette, Tuesday 25 September 1855. Sittingbourne. Greenstreet Horticultural and Floral Society. 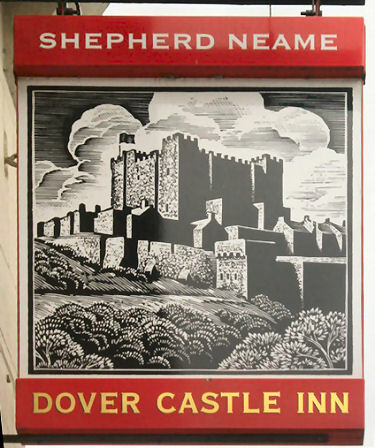 The annual show of this excellent Society was held at the "Dover Castle Inn," on Friday last. The attendance of the neighbouring gentry and their families was very numerous. Many beautiful and choice specimens of fruit, flowers, and vegetables were exhibited, and the arrangement of the whole was greatly to the credit of the managers, who were indefatigable in their exertions to render the exhibition worthy of the patronage so liberally bestowed upon it. The judges on the occasion were Messrs. Masters, Turley, and Moneylaws. Messrs. Minter and Son have held their annual sales of cherries, A&., during the past week. The first took place on Monday at the "Dover Castle Inn," Greenstreet, when the cherries on the Noud’s Estate, the property of Mr. P. Barling, were sold. The orchards comprise about 86 acres, and the cherries in them realised a total of £1,393 10s., a larger sum than the fruit on this estate has ever fetched on any previous occasion. The cherries on other estates in the neighbourhood were also sold as follows:—In Barbary orchards, Norton, for £40; Greenstreet Upper and Lower orchards, £88 and £60 respectively; Erriott Wood orchards, £51; Ten Acre, Bumpit, and Loyderton orchards, £63; Church orchard, Norton Court Estate, £38; Woodstack and Essex orchards, on the same estate, £42; Mr. E. Blaxland’s orchards in Lynsted and Doddington, £5; Mr. J. Sayer’a orchards at Rodmereham, £16 10s. ; Dully orchards, £71 10s. ; and Homestall orchards, Doddington, £8. The cherries and black currants on the Court Lodge Farm, Teynham, fetched £10 10s. The Eastling sale took place on Thursday evening, and Ospringe on Friday; the prices we shall publish next week. From the Kentish Gazette, Tuesday 18 January 1842. Mrs. Jane Goulden takes this opportunity of returning her most grateful thanks to her friends and the public for their kind patronage affording to her late lamented husband, and begs to inform them it is her intention (with proper assistance) to carry on the business; and trusts, the assiduity and attention, combined with moderate charges, to merit a continuance of their favours. N.B. Orders for Wine or Spirits thankfully received, and strictly attended to. Good Stabling and look up Coach-houses. William Duffill formerly of the "Crown," Rochester, died in the "Dover Castle," Teynham in 1924. 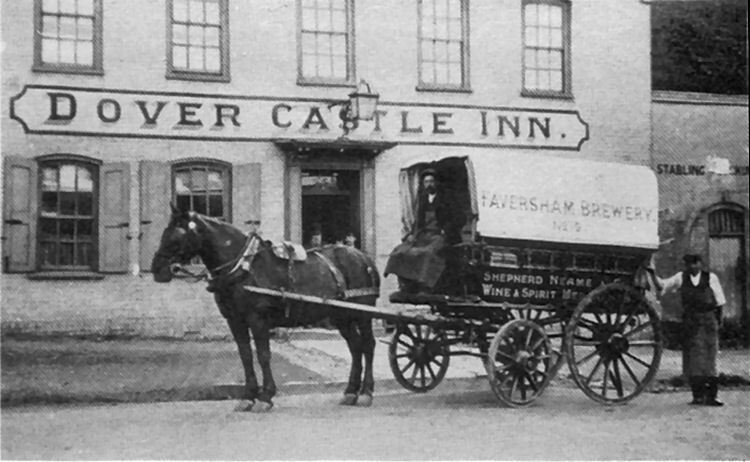 Probate:- of "Dover Castle," Green Street, Teynham, Kent to Edward David Duffill and David James Duffill Licensed Victuallers. The assumption could be made that his two sons were the Publicans of that establishment – however, I have no proof other than this Probate record. Whitstable Times and Tankerton Press, Saturday, 26th January, 1946. LYNSTED PUBLICAN’S WIFE’S UNFORTUNATE MISTAKE. POURS WATERED GIN BACK INTO BOTTLE. At the Faversham County Petty Sessions on Thursday Mr. W. H. Wilson (in the chair) Mr. P. Johnson, Mr. S. Dixon, Major Stanley Berry, Mr. F. I. Neame, Mrs. J. H. Johnson. 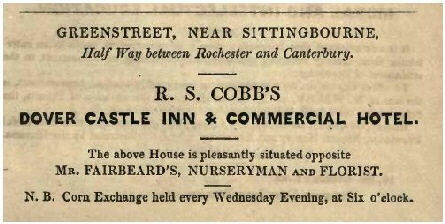 William Richard Baxter, landlord of the “Dover Castle,” Lynsted, was summoned for selling gin not of the quality demanded by the purchaser on November 20th. Mr. G. S. Wilkinson appeared for the prosecution and Mr. Gerald Thesiger was counsel for the defendant, who pleaded guilty, but said he did not know there was anything wrong with the gin. Mr. Wilkinson said that Mr. Merryfield, an inspector of the County Council, went to the “Dover Castle” and asked for some whiskey. Defendant said he was sorry he had not got any, but he could have some gin. After he had served it defendant's wife said “I hope you have not served from my bottle because it is watered.” Defendant said it was quite without his knowledge that the gin had been watered and he certainly would not have supplied a stranger had he known. Mrs. Baxter said that some American officers had drinks and they asked her to have some. As she did not drink much some of the drinks they gave her were left over and she pitched them back into the bottle which she intended to keep for her own use. The analysis showed that the gin contained 57.05 true spirit and 42.95 of water, but it should not be more than 35 underproof. He thought the Bench would consider that there had been a certain amount of carelessness on the part of Mrs. Baxter in pitching the gin back into the bottle. Mr. Thesiger said he must admit that Mrs. Baxter was most unfortunate in what she did. She was in the private bar and four American officers treated her, but as she did not take much she put her gins aside and when they left she thought it would be a pity to waste what had been put by and she poured it into the bottle. She was then called into the public bar and afterwards went to attend to her dinner. Mr. Baxter then came in and served the two officials, but he had not the slightest idea that anything was wrong. He asked the Bench to take the view that it was quite unintentional. It was a most serious matter for him. 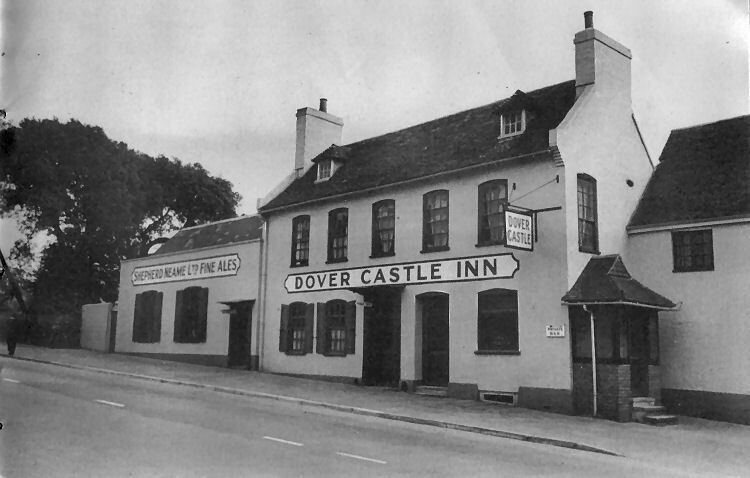 He had been a trusted licensee for no less than 25 years, the last 17 years being at the “Dover Castle.” His landlords might take a serious view of this case and it would be hanging over him until they came to a decision. Mrs. Brenda Baxter stated that one of the American officers was a friend of hers and he knew that her daughter had married one of their boys. She was giving him messages to take to her daughter. The officers asked her to have a drink, but it was very seldom she drank anything and she did not take any notice of the drinks piling up. After the officers had gone she thought it a pity to waste them and put them back in the bottle, which she was going to keep for her own use. She put the bottle down while she went to serve another customer and forgot to take it with her. Mrs. Jean Henderson, of Whitstable, a niece of Mr. and Mrs. Baxter, stated that on November 20th she visited her uncle and aunt. She arrived when her aunt was in the private bar with some American officers. There were several drinks on the counter and her aunt said that it was a pity to waste them so she would put them in the bottle and keep it for her own use. Asked why she watered the gins if she did not intend to drink them, witness said the Americans poured the water in. 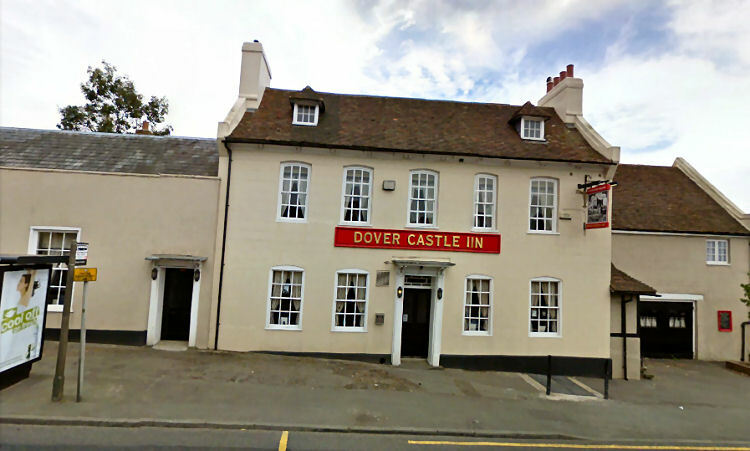 Defendant, who prior to going to the “Dover Castle” kept the “Smack” beer-house at Whitstable, stated that he had no knowledge that his wife had put water in the gin. When she asked him if he had served from that bottle was the first time that he knew anything about it. He had been down the garden all the morning. The Bench were of opinion that no jury would convict and they dismissed the case under the Probation of Offenders’ Act.